Design your own sofa in our Custom design module! 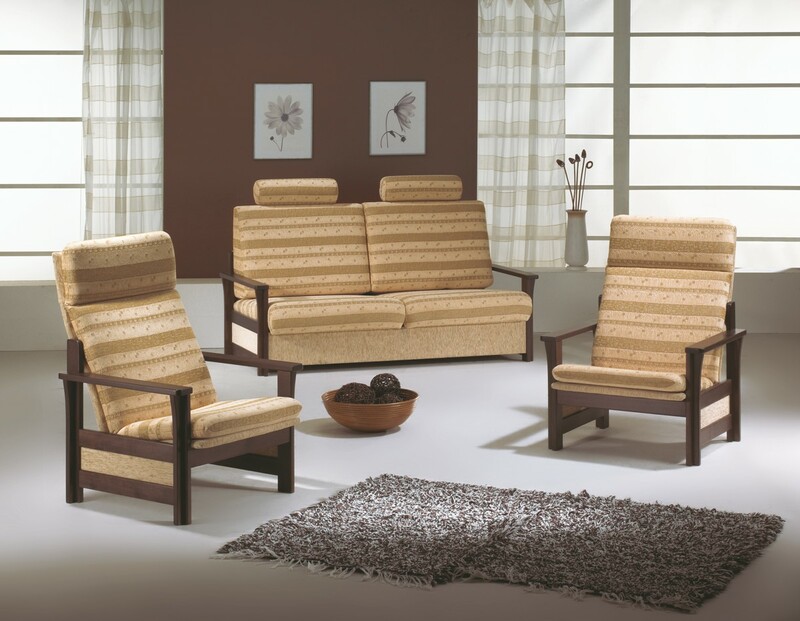 A couch set with modern lines and wooden components. The seats and backrests of the sofa are molded from shaped polyurethane foams, with sinuous springs ensuring resiliency. The armchair is further equipped with sprung wooden slats. Its wider variant (i.e. 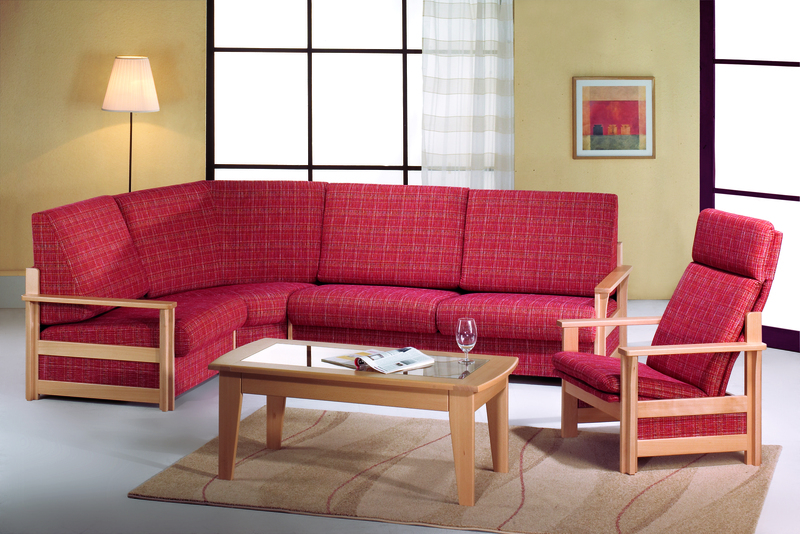 semi-sofa) also includes an unfolding mechanism, which can convert it into a chair bed. The sofa itself is unfoldable as well, with the option to unfold each bed on its own. The headrest offers two positions – a gentle slope or a completely straight line ideal for reclining. Both couch sets (the classic I-shaped variation and the corner variation) can be further adjusted with raised headrest pads. Thanks to its dimensions, Eva is suitable even for smaller flats. Various combinations of wood types and upholstery colors can be tested in our Custom design program. The wooden components can also be custom stained in the shade of a provided sample. All orders for the displayed products can be placed at your nearest retailer. The products will be custom-made with atypical requests met if desired, and the goods delivered anywhere in the Czech Republic. The couch set can include any combination of the above-mentioned items, with the possibility of ordering an additional couch, armchairs or stools if desired.